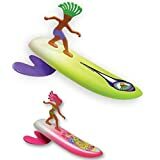 Sold by Tomi Toys and Fulfilled by Amazon. 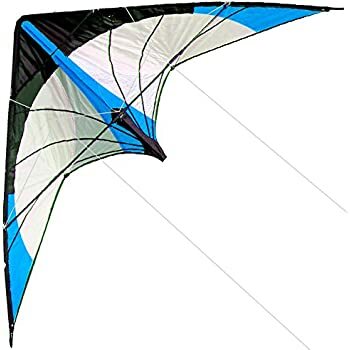 Amazon's Choice for "kites for adults"
Easy to fly – Whether you are at the park, the beach, in a field or anywhere else, tomi kite is Super easy to fly for both girls and boys, kids and adults. This kite is truly for everyone. It's stable in the air and easy to Launch. Sold by Tomi Toys and ships from Amazon Fulfillment. 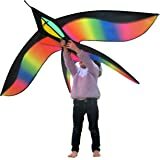 - beautiful with bright Rainbow colors and 6 tails This versatile kite is ideal for learning the basics of kite flying. 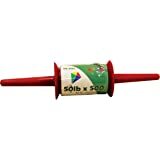 Kids will build their strength and coordination as they launch and recover it. They'll also improve critical thinking skills as they learn to fly it in different types of winds and environments. Most importantly, they'll have fun and create memories of guiding their dancing kite across the sky. Ready to get your kids – or yourself – away from the TV and outside for some fun? 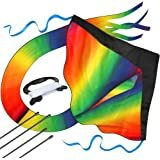 Get this Rainbow kite today. It comes with a lifetime warranty and a full money-back guarantee. So don't delay, order now while supplies last. 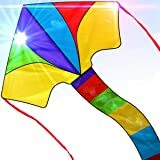 This Super strong, easy-to-fly kite will provide years of family fun! Click the add to cart button to get yours today. 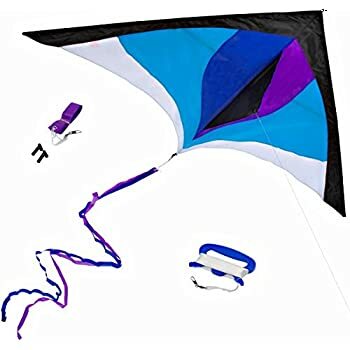 Best Delta Kite, Easy Fly for Kids and Beginners, Single Line w/Tail Ribbons, Stunning Blue & Purple, Materials, Large, Meticulous Design and Testing + Guarantee + Bonuses! development and curiosity. 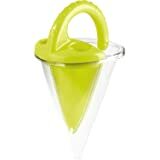 My reviews are based on products durability, safety, and how it fosters a child developmentally. 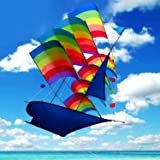 - I bought this kite for my little one who is all about things in the sky. - Beginner kite. 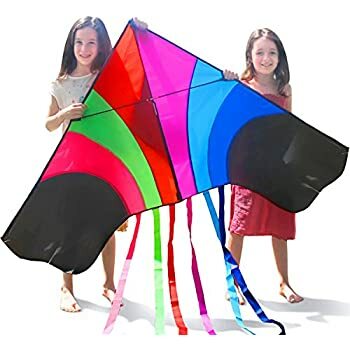 This kite is great for young children because it doesn't require to much skill to fly once in the air. 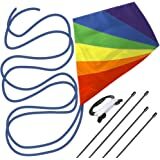 - Simple construction, this is your standard kite with a T-cross bar in the middle. - This is a Single-line kite. 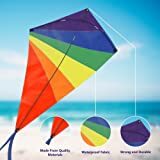 - Even though it took less then 2 minutes to assemble, this kite came with horrible instructions that were very poorly written. - This kite has a long tail! 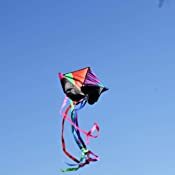 Which has it's benefits (fun and beautiful to watch in the air) and drawbacks (hard to store and you get easily tangled up in) (Leave the dog at home when using this kite...trust me on this one). - Lots of FUN memories! Watching your spouse act like a kid again....priceless. Please click Yes if this was at all helpful. Writing reviews has become a hobby for me, and it is always exciting to know that people find my reviews helpful (and if not, why.) Also, if you have any questions, clarifications, or comments please feel free to leave a comment below. I usually respond pretty quickly and almost always within 48 hours. 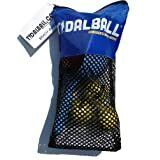 I received this product discounted for an unbiased and honest review. 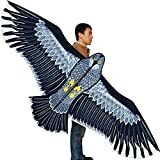 This kite is fabulous!!!! It's BIG! It's BEAUTIFUL! And it just wants to FLY and STAY UP THERE!!!!!! Very easy to fly! AND, you can easily break it down to store at home... the tails NEVER tangle!!!! BUT! 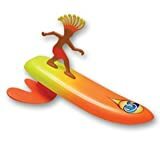 You better buy one for everyone else to fly, or yours will be "borrowed for just a minute" and you won't get it back... My husband couldn't wait to get his hands on it!!!! So, I got him one... then his BROTHER took mine!!!! Arrrgh! 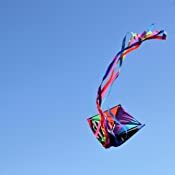 I highly recommend this beautiful, well-made kite! The fabric is tough, durable, brilliantly colored and all stitched, not glued! Super well-made to last and last! 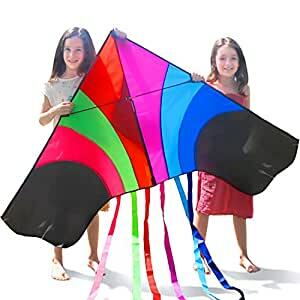 I couldn't believe how little it cost for such a quality kite, either! It is a joy to fly! 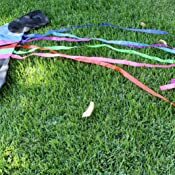 When is the last time you spread a blanket on the grass and just watched the clouds and sky and a brilliantly colored kite!?! Too long, I bet! It's good for mind and body... you don't realize it at the time, but you are moving a lot of muscles into positions they're not used to... lifting your arms and tilting your head back (instead of hunched over a keyboard!) You get a real workout without realizing it and you come home happily tired out!!!! And your mind is clear and calm afterwards, too, so many benefits!!! Just FYI, gloves would be a good idea... and maybe a backpack for your camera, water bottle, etc. 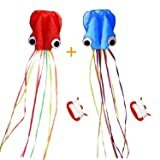 so you can carry all your valuables with you easily and hands-free as you walk around working your kite. I named mine "Icarus", because it tries to go all the way up to the sun!!! And remember! All that string has to be wound back up on the spool again, so don't go crazy! The manufacturer is very communicative and supportive, and rightly proud of their product and go to great lengths to make sure you're happy! The only thing that I would suggest to them is to make this beauty in different color combinations... so your husband will stop using YOURS all the time!!!! :) Enjoy!!!! 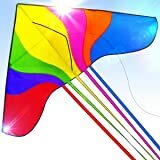 4.0 out of 5 starsGood kites, bad string. Ordered 4 of these for grandkids for Easter. Was a beautiful sight seeing them all flying together. The kids were loving flying them and the adults were enjoying the show, until one by one, strings started breaking. At some point all 4 broke, and kids went chasing them over about three acres. Some were re-tied and broke again. 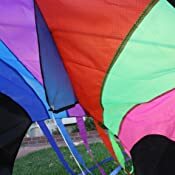 The kites are well made and easy to fly, but I would get better string before even attempting to fly them. 5.0 out of 5 starsBest kite ever! This kite is awesome. 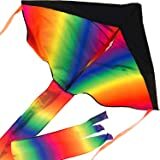 I have never actually left an Amazon review before, but I wanted to for this kite. It worked so well...especially for the price. My family and I took it to the beach, and after putting it together, which takes about 2 minutes, we got it in the air so easily. Literally, all we had to do was hold it up and it took off. We let out so much string, I was concerned that it would break and we wouldn't be able to get it back down, but it held and was so beautiful. Everyone on the beach remarked at how high we were able to fly it. We flew it a couple times a day, even in high winds from tropical depression Julia, and never had a problem. I think my husband and I actually had more fun with it than the kids! I would sooo buy this again! The kite has a few issues with the supports that made it completely unusable. The leading edge supports don't seem to join and the lack of rigidity made the experience nothing but frustrating. There seems no way to join those rods together. This causes about 1/3 of the kite to flap backwards, destroying lift and stability to the point that the kite just spins into the ground. The cross supports are poorly sized and it is extremely difficult to get them into their respective retainers, which also seem to close when pulled taut.